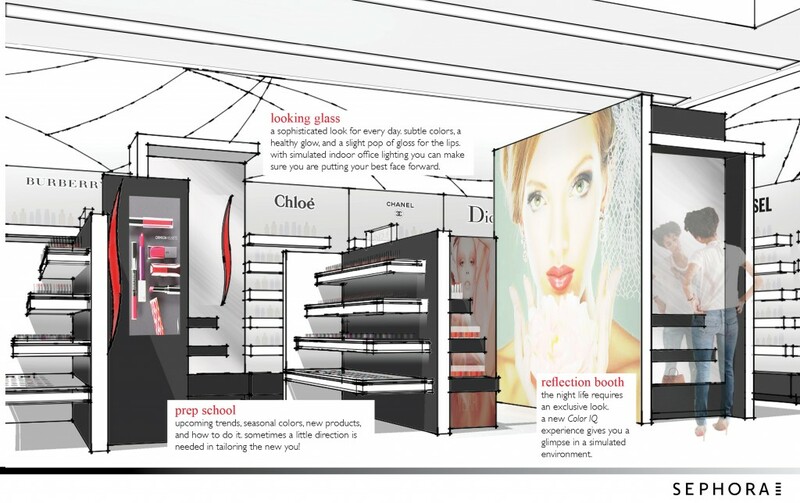 The challenge for this project was to rethink Sephora’s formula for color (the internal term for the makeup category) within their stores. 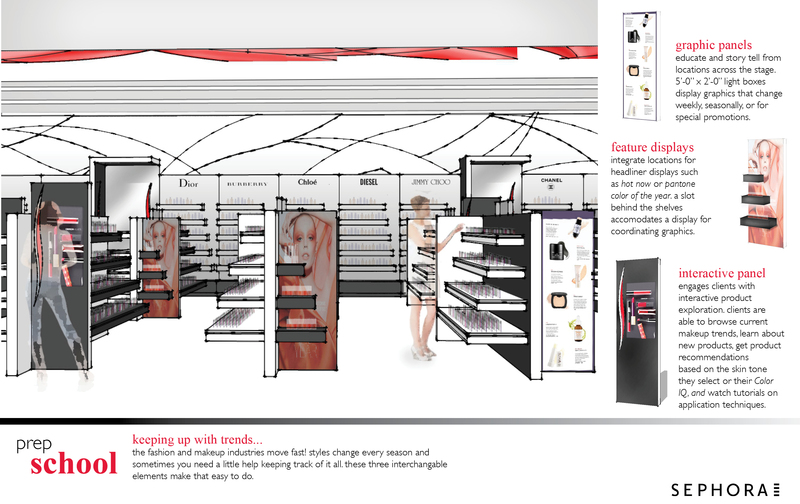 The aspects of Sephora’s open-sell cosmetics model were to remain, but with an updated look, feel, and client experience. 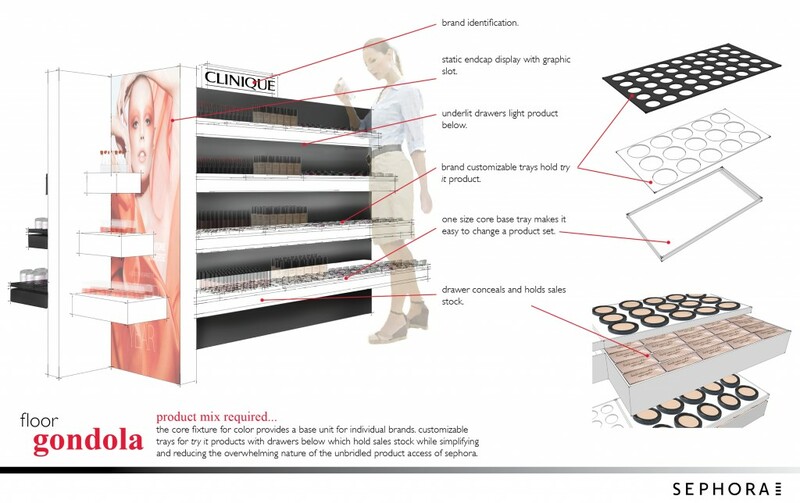 The new concept required implementation across a range of existing stores that range from 3,800 – 6,000 sq. 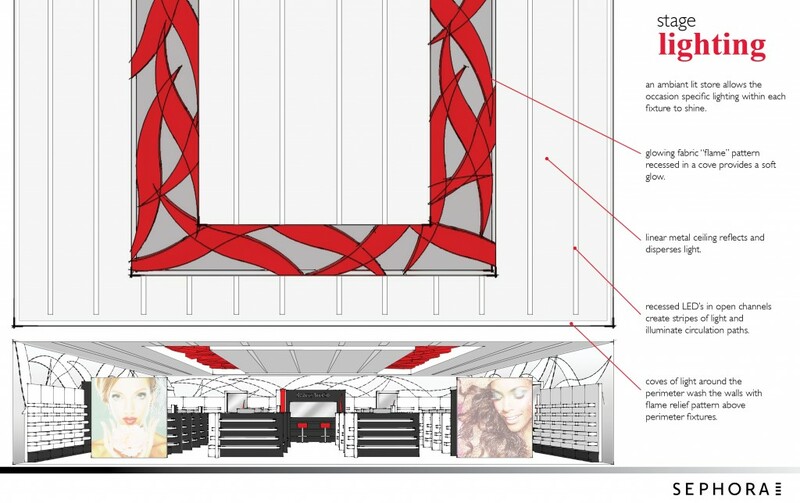 ft. with color compromising half of the store. 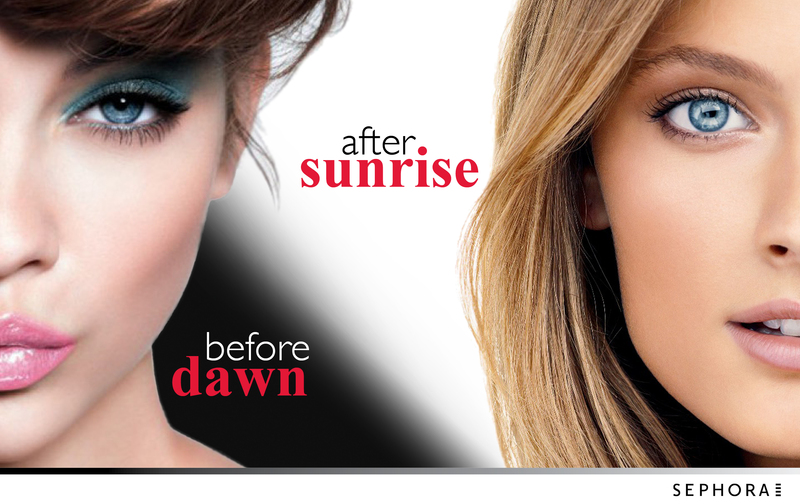 After sunrise, before dawn began its inspiration from different lighting conditions and the different looks that women use to render themselves for each of those occasions. 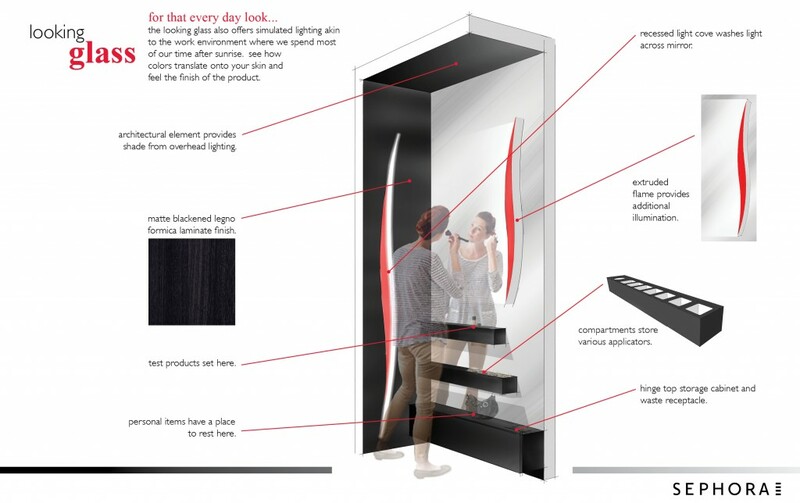 As the design process evolved the project settled into the concept a look for every occasion. 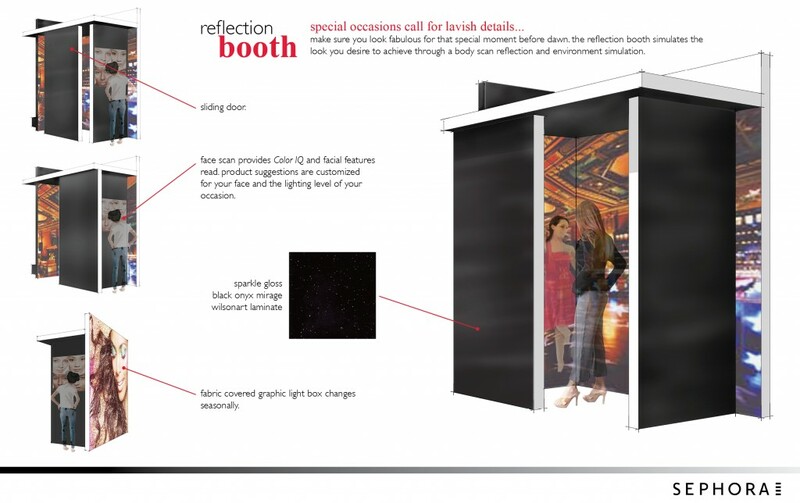 Multiple fixtures were designed to interact and engage clients for different occasion-based needs and levels of involvement. 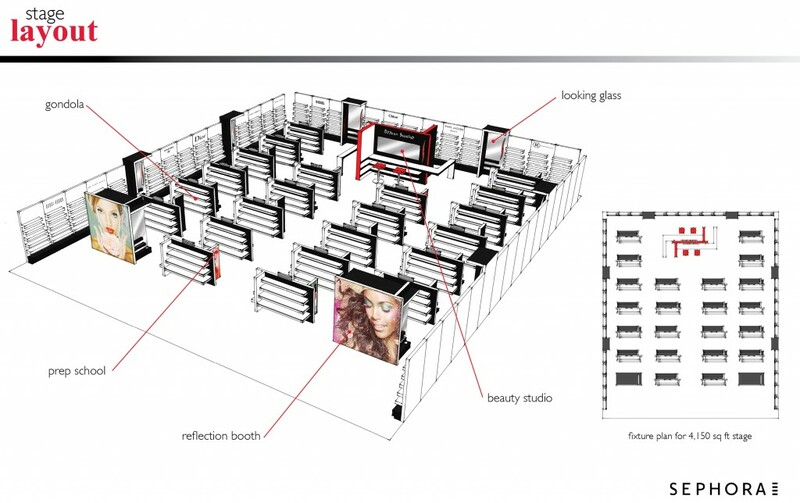 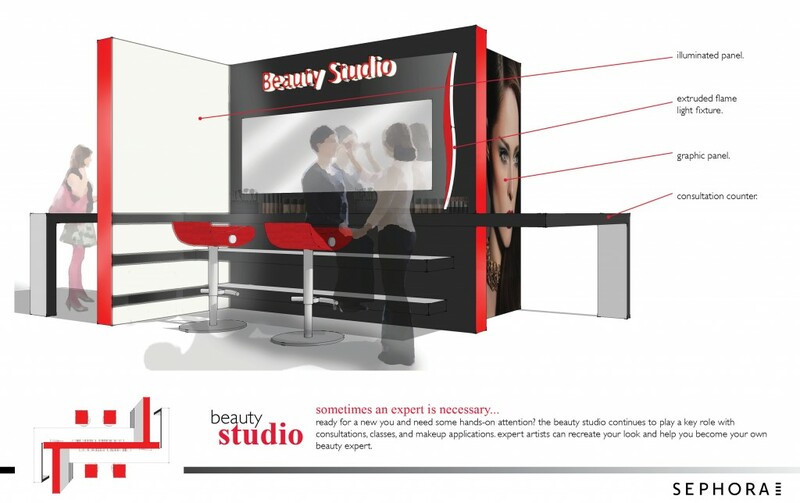 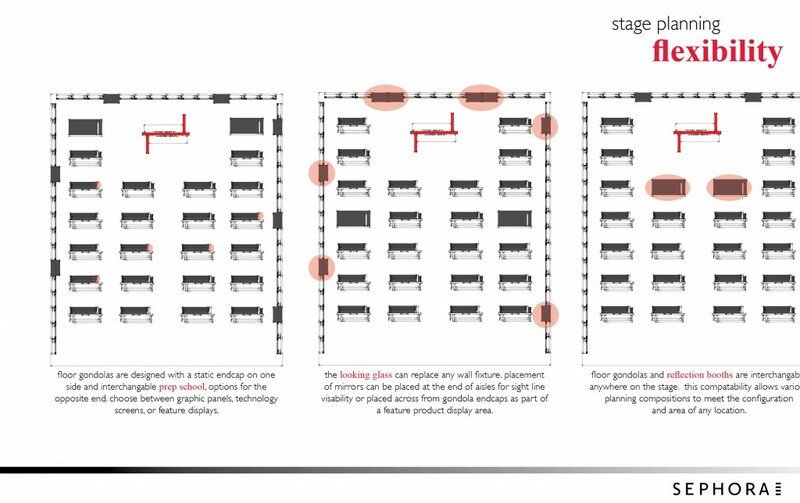 The resulting suite of fixtures allows multiple configurations to meet the needs of various stores.